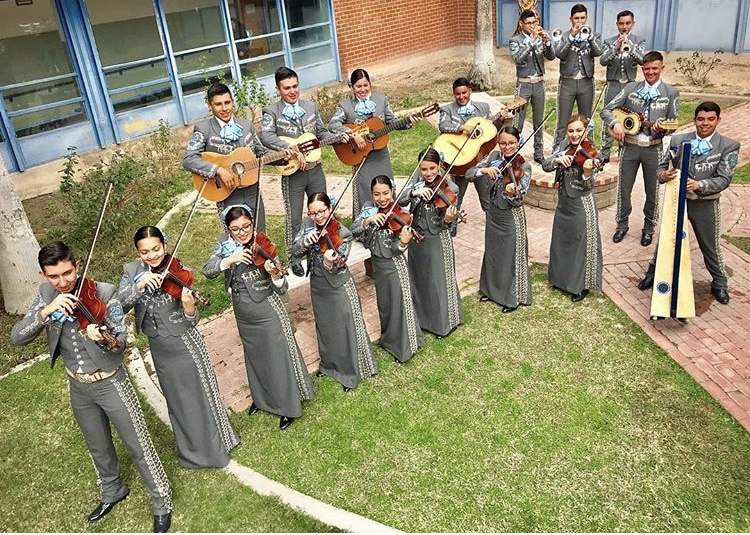 Pueblo High School’s 17 members of Mariachi Aztlán will be participating in this year’s Tucson International Mariachi Conference (TIMC) later this month and hopefully bringing home an impressive fifth consecutive first place. 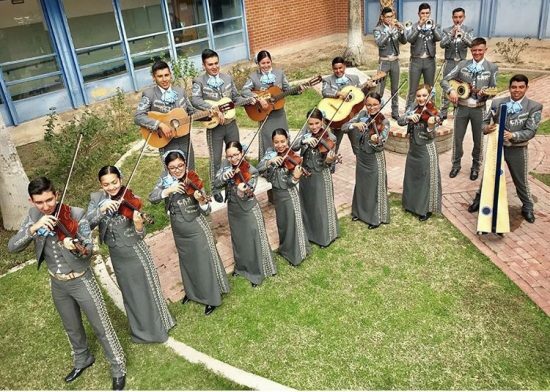 The TIMC is a prestigious event that includes participants from mariachi groups all over the country, including world renowned Mariachi Vargas, Mariachi Nuevo Tecalitlan, and this year, Mariachi Sol De Mexico is coming to Tucson from Los Angeles. This Conference is held at Casino Del Sol for three days—from April 25 through April 28. The Mariachi’s vary in ages—from as young as elementary-aged students to high school. Practicing for a couple months now, Mariachi Aztlán has been preparing to keep up the number one record. For the five seniors in this year’s program, they are hoping for another victorious placing. She added that the group does more than just play mariachi music. Earlier this year, Pueblo’s mariachi group raised approximately $5,000 for school children victimized by Hurricane Harvey in the Houston, Texas area by performing with other local mariachi groups. 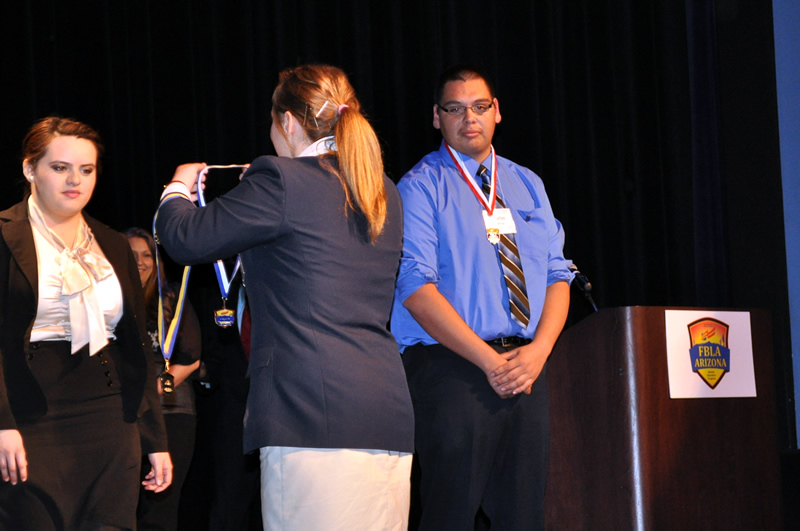 On Sunday, March 1, six Pueblo Students attended the DECA [Distributive Education Careers of America] Conference at the Phoenix Convention Center, competing in events among 2,000 other students from all around the state. 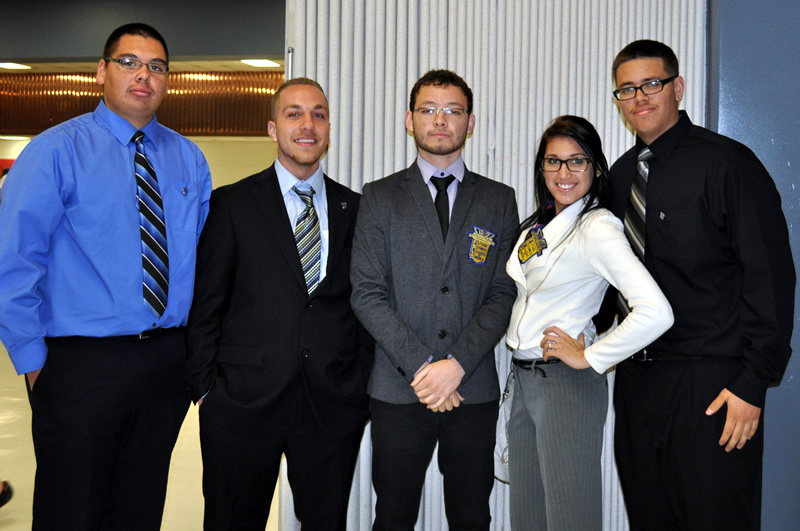 Also known as CTSO [Career Technical Student Organization], DECA is part of marketing—giving students an opportunity to learn business skills and compete with others in various activities. Mr. Pete Pederson, Pueblo’s digital printing (and yearbook) instructor, was a judge for one of the DECA contests that involved students having to apply for an entrepreneurial business proposal. Pederson said that Pueblo students did not compete in this event. Mina Van Gorder, President of the DECA chapter at Pueblo, attended the competition for the second time—this year with more experience and preparation. 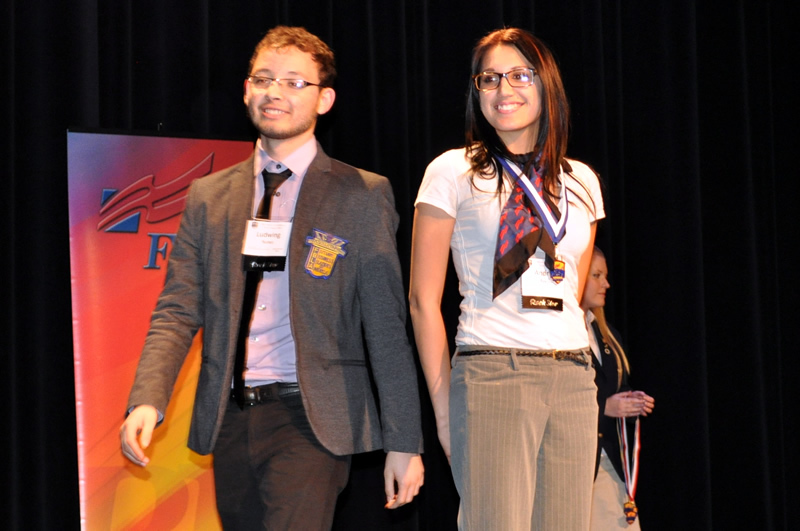 Junior Daniella Contreras admitted that she was really nervous in front of people during the competition, but was able to confront her fears and succeed. “I was about to have a breakdown, but luckily Mina [Van Gorder] was there to help me out,” Contreras said. After the competitions students enjoyed the award ceremony—and this is when our Warriors found out that they would not advance to the next round. The advisor/sponsor for DECA, Dr. Maria Bicknell, explained that students were very successful raising money for this trip through numerous events and student participation. 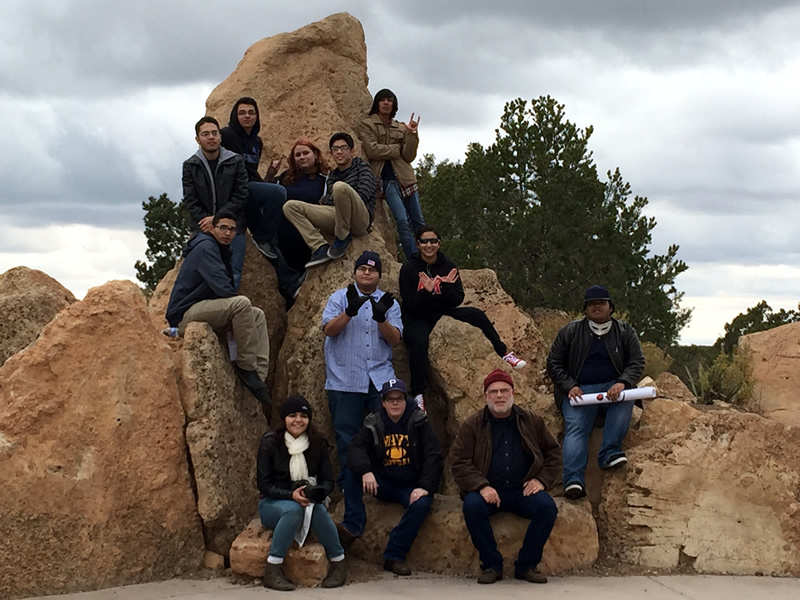 Pueblo Magnet High School’s SkillsUSA 10 club members and its two advisors attended the 2014 SkillsUSA leadership training camp in Williams, AZ, for three days, Nov. 12-14. One of the primary objectives of this trip was to train SkillsUSA members to build leadership skills and to unite the group through a multitude of activities during the three-day event. During their trip, SkillsUSA members networked with other SkillsUSA groups and programs across the state, and in the process, they learned their own strengths and weaknesses as well as communication skills between their own members and other groups. When the students arrived, they had the opportunity to set up their cabin rooms. Then, they had a chance to socialize with other students until opening session that evening. At this session, students listened to a key-note speaker who engaged them in ice-breaking activities. Dinner followed this session, and then students were divided into six regional meetings. A dodge ball tournament, which was hosted and organized by one of the Tucson schools (Canyon Del Oro), followed the meetings, and Pueblo’s team advanced to the semi-final tournament. The next day, the students participated in various classes that provided them with a multitude of leadership activities and trainings. Pederson added that he noticed that members who attended this camp were already exemplifying better and stronger leadership qualities upon their return to Pueblo. Pueblo Magnet High School science teacher Dr. Andrew Lettes received the Ron Mardigian Memorial Biotechnology Explorer Award, as part of the National Science Teachers Association (NTSA) 2012 Teacher Awards Program. The Biotechnology Explorer Award recognizes teachers who have made biotechnology learning accessible to students and Lettes’ curriculum has done just that. Pueblo serves a predominantly low-income Hispanic population – a population that is typically underrepresented in science, engineering, and technology fields. There are currently 105 students enrolled in the program with 140 interested in enrolling next year. Dr. Lettes’ former students have gone on to pursue degrees in neuroscience, molecular biology, and science education. Students who have gone on to pursue degrees in other areas have said that Lettes’ class provided them with a strong foundation for their college science course requirements, and for the overall expectation of college studies. As the recipient of the Biotechnology Explorer Award, Lettes received a $250 monetary gift, a $500 certificate for Bio-Rad products for his classroom, and a trip to attend the NSTA National Conference on Science Education in Indianapolis last month. 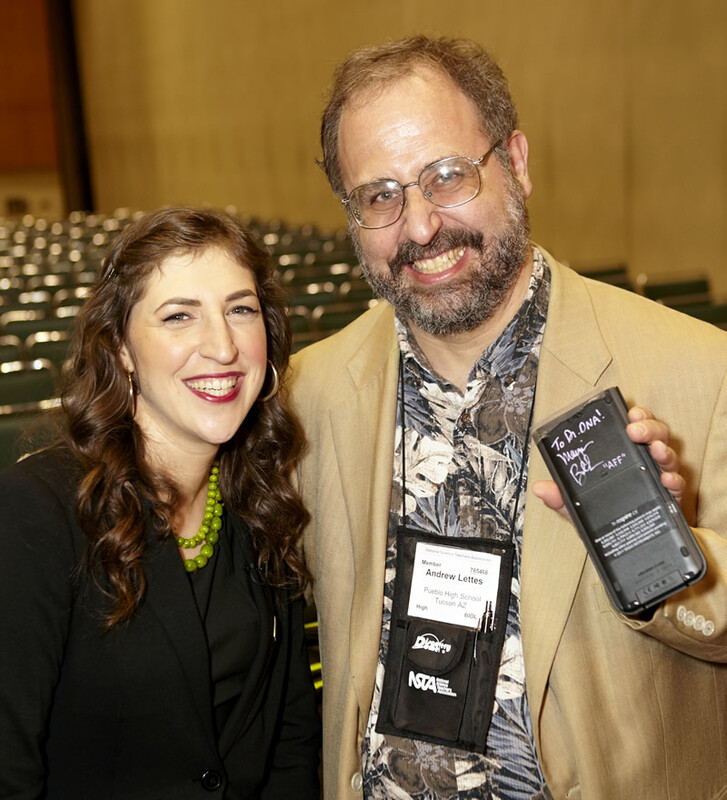 Interesting tidbit: While at the conference, Lettes had the opportunity, among other things, to meet and talk science with television actress Mayim Bialik of The Big Bang Theory, who holds a Ph.D. in neuroscience both on TV and in real life. Bialik and Lettes both received their doctorates from UCLA. For more information on Career and Technical Education Programs offered in TUSD, visit the Career and Technical Education Program Web site. 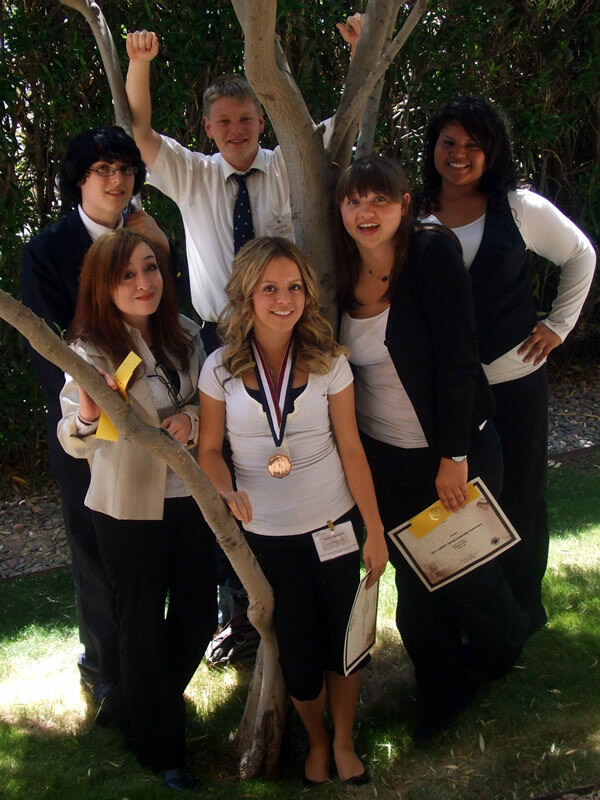 FBLA sponsor Maria Bicknell reports that at the 2012 Future Business Leaders of America Regional Conference, Pueblo students came home with gold, silver, and bronze medals! On Thursday and Friday, April 14 and 15, seven Pueblo Biomedical (Biotechnology) students attended the HOSA Spring Leadership Conference at the Doubletree Hotel in Tucson. This was a statewide competition and our Warriors did very well! Congratulations to all that participated.